When you’re in between workouts or busy and on-the-run, a quick grab-and-go snack full of good nutrition is great to fuel your body and provide the energy it needs. 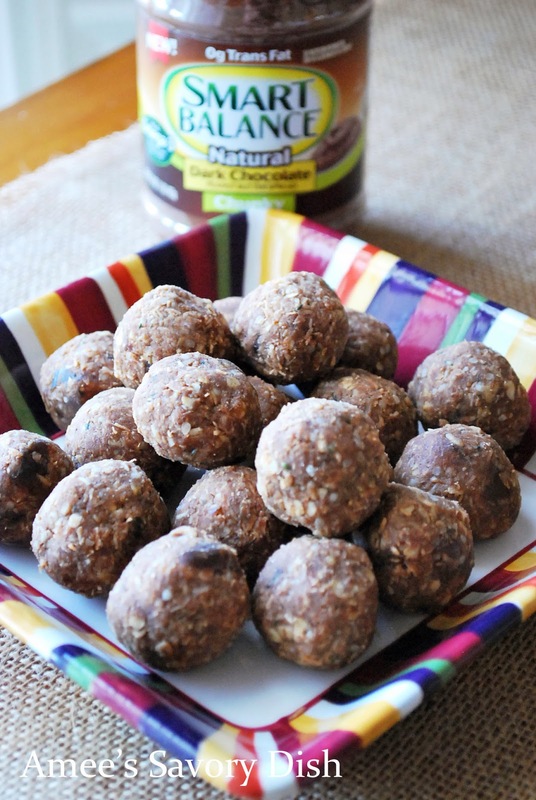 These chocolate peanut butter energy bites are the perfect solution to satisfy your cravings and fill you up. These bite-sized treats are calorie dense, so a little goes a long way to give your body what it needs. Pair them with a lean protein or protein shake and you’ve got a great post-workout snack. 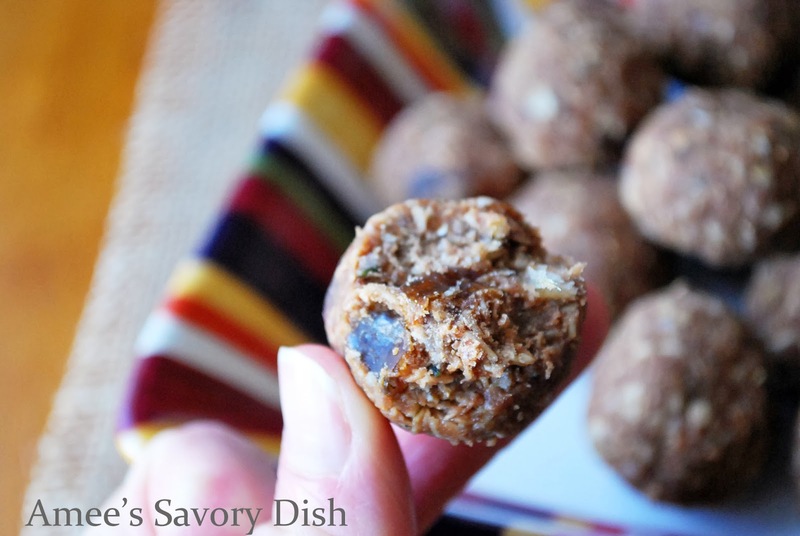 These chocolate peanut butter energy bites are a great way to get more healthy fats in your diet and appease your sweet tooth without guilt! Toast coconut in a saute pan on med-high heat until lightly golden, stirring often. Place coconut and all other ingredients into the bowl of a food processor. Roll into balls and place in an airtight container. *Smart Balance dark chocolate peanut butter was provided to me for review. All opinions are my own and not influenced in any way. Do you know the calorie count and nutritional stats for these? Thank you. Ok, making these tonight–and sharing them with all my friends! Amee, we are on the same wave length . . . . I’ve got something like this yet plenty different coming up! These look so delicious. BTW, huge fan of hemp seeds. Thanks Jennifer! I can’t wait to see what deliciousness you come up with!